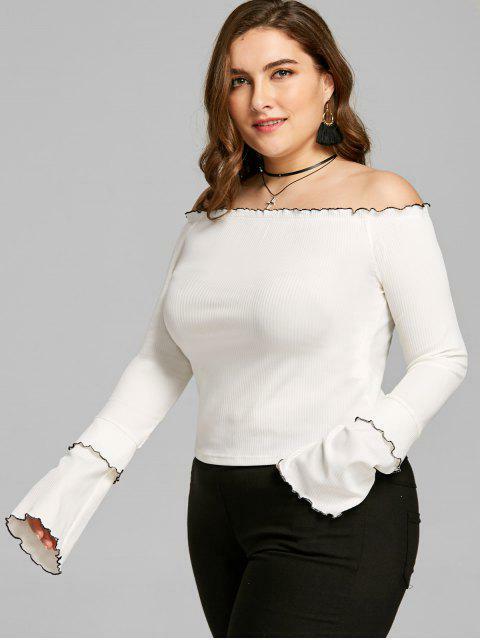 [39% OFF] 2019 Plus Size Lettuce Edge Off Shoulder Top In WHITE | ZAFUL ..
love this top.the material is really soft. not sure what kind of bra I am going to wear with it. I probably will go without a bra. 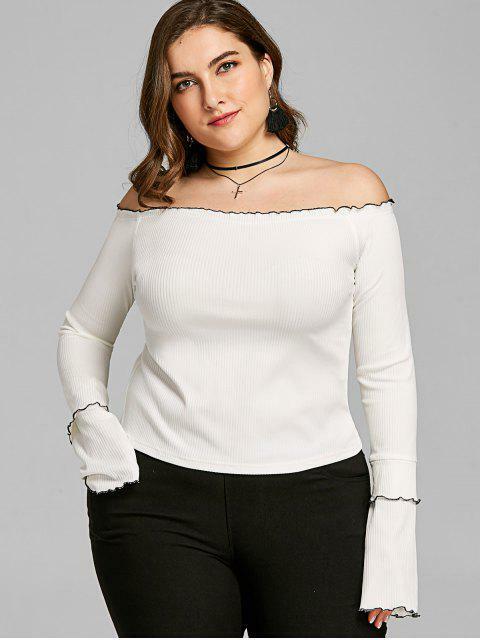 but can't wait to wear while i'm on vacation in Europe! Want to be concise and trendy both time? 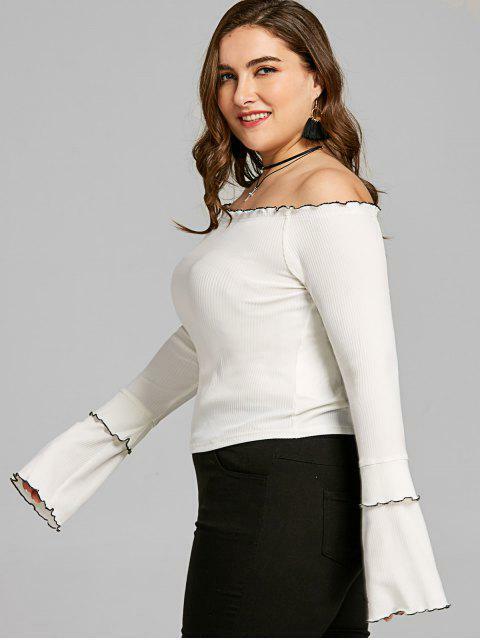 Then this color block top is absolutely suited for you.This adorable top features an off the shoulder collarline, long sleeves with layered details, black contrast lettuce-edge trim, stretchy ribbed knit design and a slim fit silhouette.